A baby girl was in such a rush to enter the world she was born in less than a MINUTE – just as her mum stepped in the hospital doors. 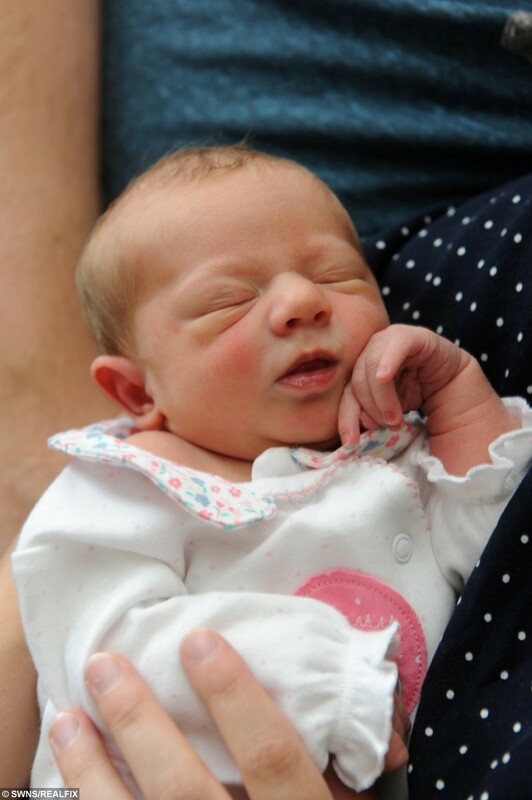 Mum Jessica Stubbins, 24, had just arrived at the hospital when she felt her daughter coming. Her husband, Tom, was parking the car but Jessica couldn’t wait and “did what she had to do”. Within seconds of pushing, baby Lucy Georgia had popped out and natural mum Jessica flipped her newborn upside down to release the umbilical cord from around her neck. Jessica, who is also mum to 19-month-old Penny, said: “I don’t think my husband could believe it. As he got out of the car he heard me scream as I pushed, but she was already in my arms when he came in. Jessica said she had been to the hospital earlier in the day after she started getting contractions, but after doctors offered her the chance to go back home. “I didn’t feel that my contractions were getting stronger so I decided to go home. “I had a bath and started having stronger contractions and needed to push and my husband took me back to hospital. “He dropped me at the door while he parked so I got out, and I felt needed to push, so I did. I didn’t feel scared or embarrassed, I just felt that she was coming and that was it. Tom said: “I came running down with my flip-flops on and we’d had a baby girl. Tom said two passing nurses, Gemma and Danny, came to Jessica’s following the birth. The couple have now returned home to Ashby, North Lincs. and introduced Lucy Georgia to Penny-Grace. Julie Dixon, head of midwifery at Scunthorpe General Hospital, said: “Although the service would prefer women to deliver babies in the safety of their home or hospital, occasionally our staff do have to assist with deliveries that happen in unusual places. 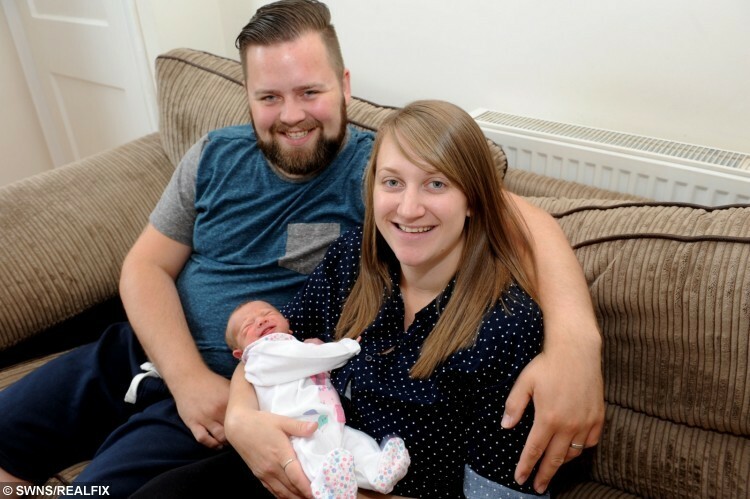 “I am delighted our midwives were on hand to help with this special delivery in the main foyer of the hospital.